A start-up in Japan attempted to launch a rocket in Taiki town on Japan's northernmost main island of Hokkaido. The start-up known as Interstellar Technologies launched its MOMO-2 rocket which was intended to reach as high as 100 kilometers into space. The launch was aired on television but turned out to be a dud when the rocket caught fire shortly after lift-off. The 10-meter pencil rocket lifted only a few meters off the ground before catching fire and exploding. The footage aired on NHK public television caught the whole incident on live TV and showed the charred rocket lying on the ground. 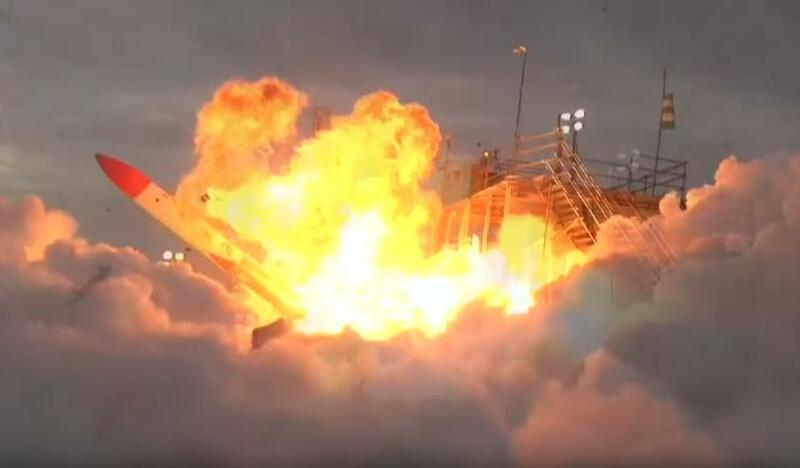 No one was injured in the accident and the president of Interstellar Technologies Takahiro Inagawa blamed the failed launch on a glitch in the rockets main engine. Inagawa apologized for the failure and promised his team would collect the debris and analyze what went wrong to improve the rocket. The MOMO-2 rocket failure was the second since its first launch last July. The start-up was initially founded in 2005 by maverick entrepreneur Takafumi Horie who was known as the founder of internet service provider Livedoor. Horie was joined by science journalists and other space fans in an attempt to invent a low-cost, lightweight rocket to send satellites into space. You so klayzee, you pless long button. You too much play play riff radyboys! It ain't 'rocket science', or is it?